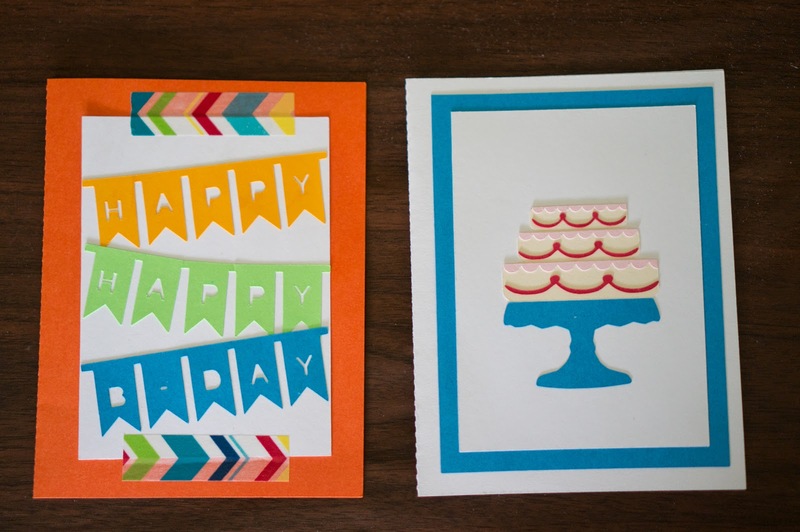 Last Thursday, I made two birthday cards for two special people who had birthdays within days of each other. 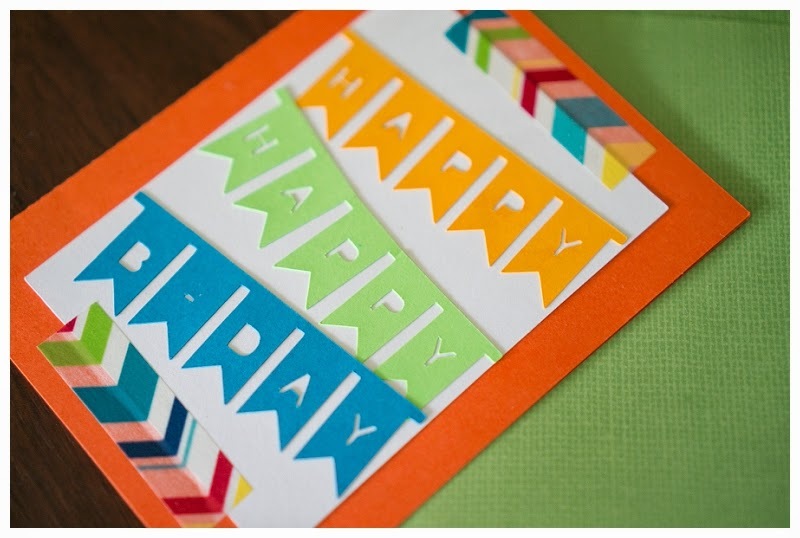 Both cards were inspired by others on pinterest but for the most part it was my own design. 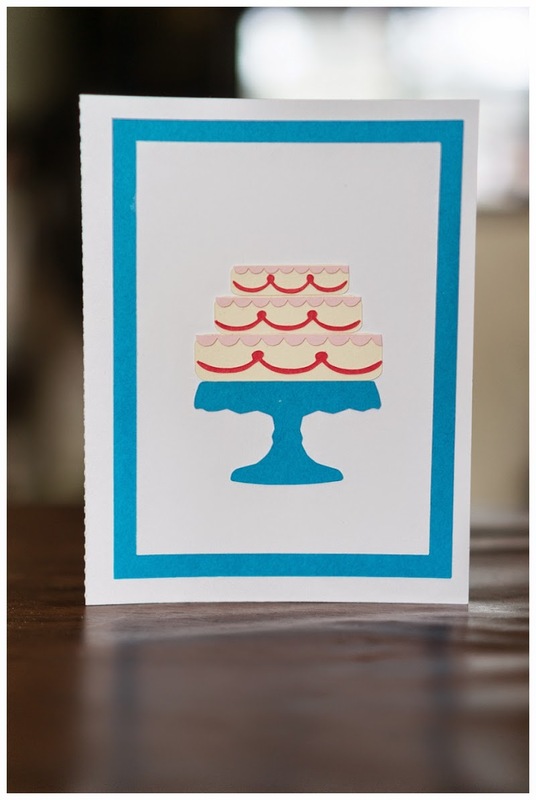 The first card belongs to my lovely cousin who is very talented in baking and cooking in general. 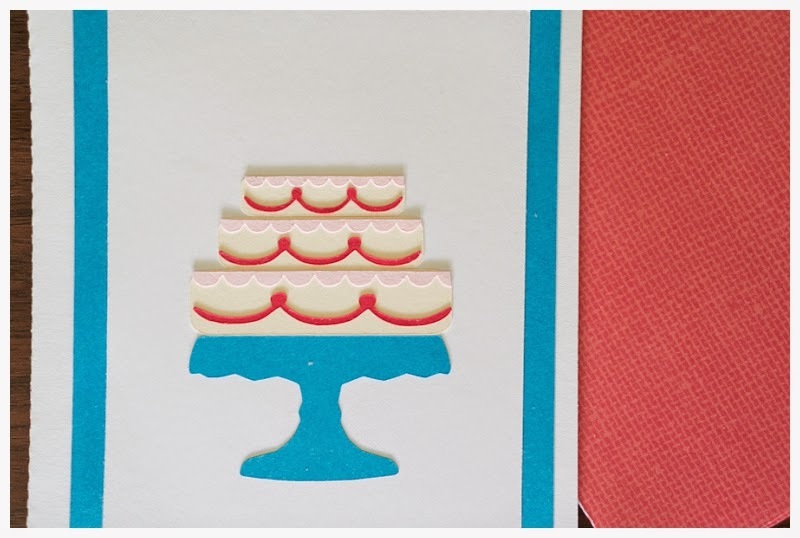 I made her this cake card which was cut out all using the silhouette cameo and then hand glued on. The second card I went for something bolder and more colorful. It now belongs to my aunt who is very thoughtful and always willing to help. 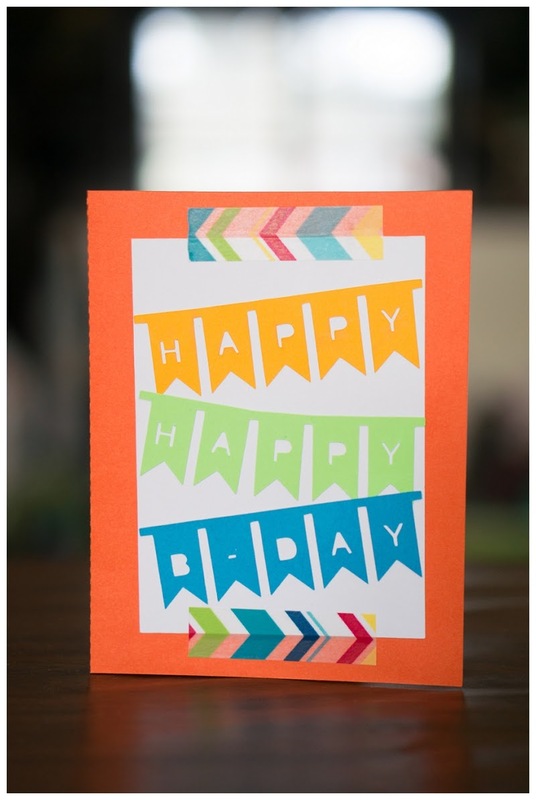 The card that inspired this one was "busier" with more colors but having just the bold pennant banners and washi tape does it for me.